Minnesota head coach P.J. 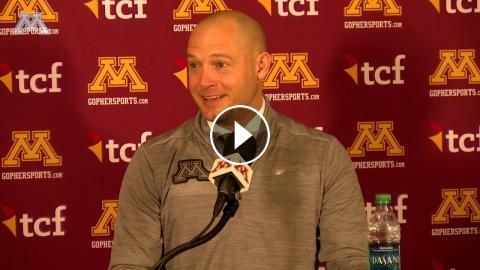 Fleck reviews the 2019 Gopher spring game. P.J. Fleck at Spring Football: What Does 78 Percent Mean? Lindsay Whalen: Post-Game Speech After First Game as Head Coach!